We offer marketing solutions to create a lasting first impression! Dedicated to delivering your identity, done right, on time. Our customer service experts are here to help your find the perfect promotional item, service or solutions to fit your marketing needs. Designing websites to create a lasting first impression on your clients, and all at an affordable price! Jump Start Your Firm's Marketing with Digital Marketing! Wide assortment of Anniversary Labels customized to your requirements! Large selection of Law Pamphlets imprinted with your firm's name! Lasting impression for your clients with Presentation Folders whether custom printed or standard imprinted! Post-it Notes Designer Packs for your firm! Selected Clearance Items up to 70% Off! Transport your Files and Documents with Ease! Classic Briefcases, Document Cases and Binder Cases! Free Business Cards With Premium Stationery Package! To succeed in business, it is critical to stand out from the crowd of law firms. We offer marketing solutions to create a lasting first impression! A successful practice branding strategy surrounds clients and prospects with your name and logo. First impressions start with high-quality custom business cards and stationery in conjunction with a high impact website and an effective digital marketing campaign (SEO). Dedicated to delivering your identity, done right, on time. Our customer service experts are here to help your find the perfect promotional item, service or solutions to fit your marketing needs. We offer some of the most affordable and effective ways to create a positive and lasting impression. To gain an advantage, you need a partner who understands your practice requirements. 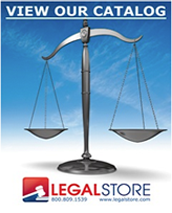 When you choose Legalstore.com, expect to get ahead with timely delivery, exceptional value and award winning customer service at the outset. Stay ahead by discovering innovative ways to improve your practice performance and bottom line. LegalStore has assembled a team of technology professionals specializing in Website Design, Development & Internet Marketing. Designing websites to create a lasting first impression on your clients, and all at an affordable price. LegalStore team of technology partners specialize in Digital Marketing utilizing a seven phrase approach which includes SEO Baseline Creation & Site Evaluation, Link Optimization & SEO Maintenance, Local Search Marketing, Law Specific Directories - Link Building, Blog Marketing, Social Media Marketing and Pay Per Click Marketing. Consumer Law Pamphlets, package of 50.
Business Law Pamphlets, package of 50. Make an elegant impression with your message laser-engraved in gold! Rich colors and stylish metal barrel convey lasting quality. Minimum order 50.